Mark Curtis made sure to enter his business, Splash Car Wash, in the annual Top Workplaces contest of Hearst Connecticut Media Group this year in the hope of coming out a winner for the fourth time. Curtis, as CEO of the Greenwich-based chain of 15 Connecticut and three New York car wash locations, knows very well that unemployment in the state and nation is running at 3.8 percent. “It certainly is more challenging finding employees,” he said. That’s why his company, with nearly 200 people, is part of the contest — for the edge of being a top-ranked workplace — and I can tell you, they have a fine time at the awards dinner in September. You can nominate your workplace as well. The original deadline was Friday. We’ve extended it to April 12, but act right now because that’s the week before taxes are due, and you won’t want to forget. For the 9th year, we’re looking to honor the best places to work — whether they’re privately owned companies, publicly traded corporations, subsidiaries, partnerships, nonprofits or even government agencies. Employers can be nominated online at www.topworkplaces.com/hearstct or by calling 203-617-0727. Click here to see and read more about last year’s winners. 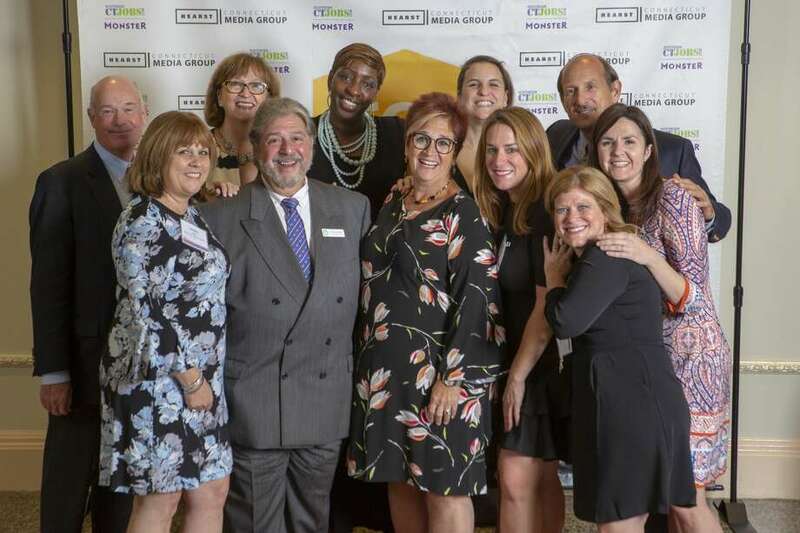 Last year, Hearst Connecticut Media honored 50 employers from across the region, chosen from more than 900 that were nominated. A smaller number actually participated, by letting our partner — Energage, a research and employee engagement company in Pennsylvania — give their employees a 24-question survey. “Our research shows organizations that earn the award attract better talent, experience lower turnover, and are better equipped to deliver bottom-line results,” said Doug Claffey, founder and CEO of Energage, our research and analysis partner in the program. Energage carries out the Top Workplaces surveys for more than 40 metro newspapers including some of the biggest. Last year, the company surveyed 2.6 million employees at more than 7,500 organizations.